You know that Christmas is fast approaching when the Terry's chocolate orange comes out of hiding and decides to make an appearance- although, having said that, the little ball of happiness doesn't stick around for long in my house... I'm greedy, and can demolish an entire choc orange in five minutes flat, I'm a huge chocoholic, what can I say?! 1.) Before you get started you'll want to pre-heat the oven to 190c/Gas 5, and set out your cases of choice ready for the mixture. *Psst, I went with blue polka dot cases to carry on the Terry's choc orange packaging theme, but if you don't fancy being a copy cat, any will do. 2.) Have you made a decision on your cupcake cases yet? Yes? Then you're ready to get started. In a mixing bowl, cream the butter and sugar until it's all light and fluffy. 3.) Once that step is complete add the orange zest and juice... Being careful not to squirt the orange juice straight into your eyes like I stupidly did- I'm an actual four year old that should probably start wearing goggles, who knew?! 4.) The next task is to gradually beat in the eggs. Sift the flour, baking powder, and cocoa over in batches, and beat well to combine. 5.) Then carefully spoon the mixture into your prepared cases- you'll be feeling like you should maybe have a slot on This Morning, cooking along side Gino with your 'I'm so organised' ways- and bake for 25 minutes. Oh, and screw trying to be healthy/a grown up adult... I give you my permission to lick the bowl. 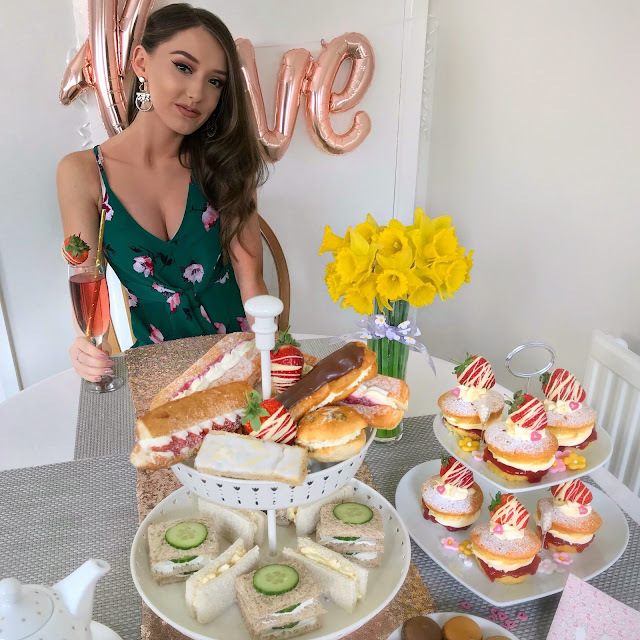 After Eight and Lindt chocolate Yule log cupcakes next up on Lauren's Looks! 1.) Whisk 175g worth of butter with a whisk for 5-10 minutes so it's extra fluffy and then sift 235g worth of icing sugar into the same bowl. 2.) Combine the icing sugar, butter, melted chocolate, orange extract and cocoa powder, and whisk for a further 5 minutes. PS- don't forget to pop the finished buttercream into the fridge for a good ten minutes to set as it makes for much neater piping. 4.) Then finish with a segment of Terry's chocolate orange, sprinkling of orange balls and mini fondant orange to give your cupcakes a real orangey finish. 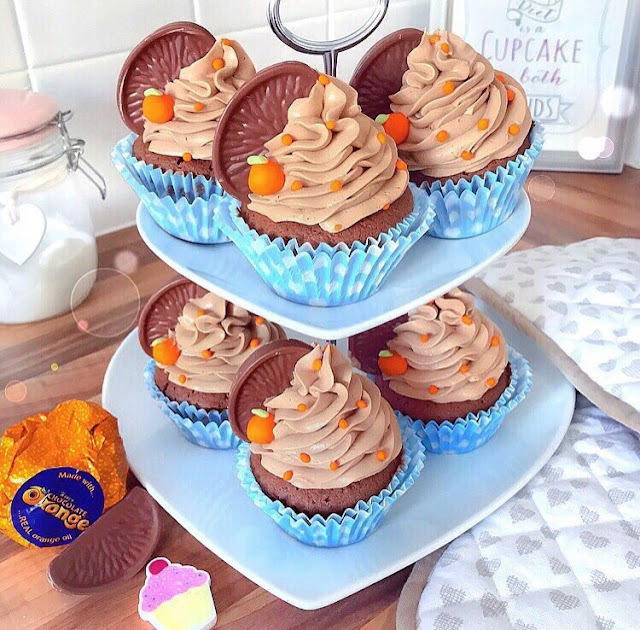 And hey, there you have it, your very own Terry's chocolate orange cupcakes, as simple as that- will you be attempting?